Designed for 18mm watches (sold separately) in Michele's Deco II collection, this bracelet is a popular choice. 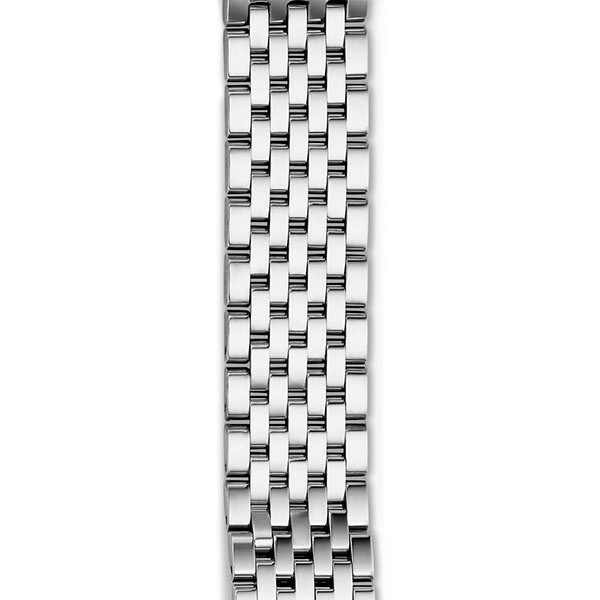 It features seven rows of polished stainless steel links that are joined together to form the band, and the buckle clasp is engraved with the signature Michele logo. Give your Michele watch a sophisticated look with this refined bracelet. JR Dunn has a 10-day satisfaction guarantee for all Michele watch products.